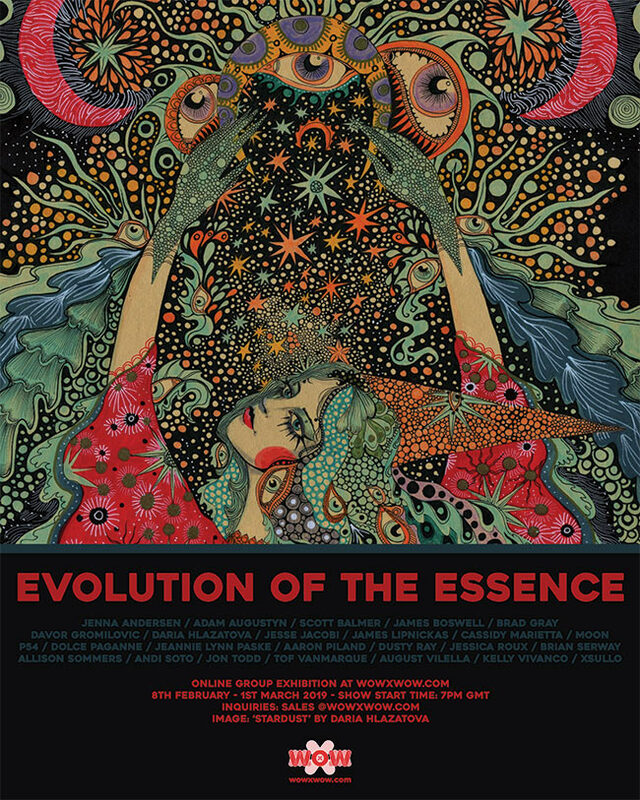 WOW x WOW Gallery proudly presents Evolution of the Essence, which opens on wowxwow.com at 7pm GMT on 8th February and will run until 1st March. 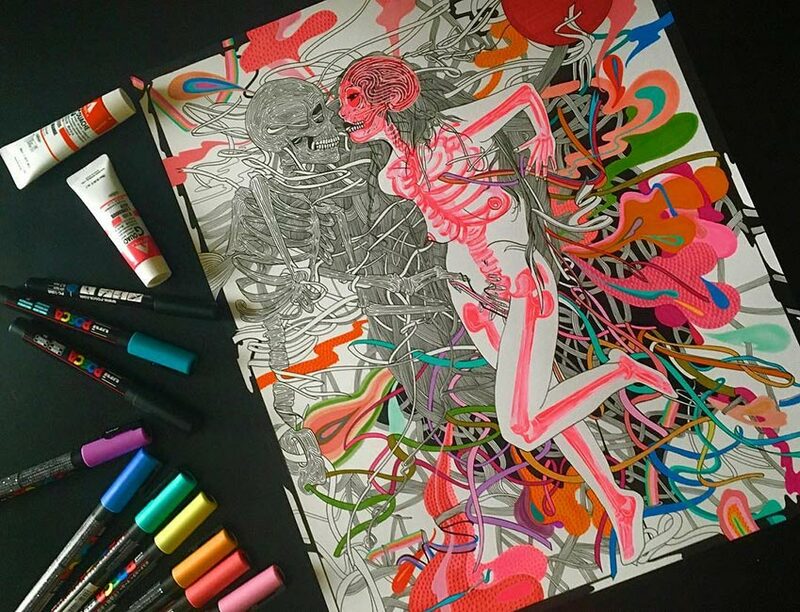 Cassidy Marietta builds up the layers of one of her fabulous contributions to the show. As always, we’d really appreciate you spreading the word to anyone that you think might be interested in the exhibition. We’re super excited about the work we’ve received for Evolution of the Essence, and we hope that you enjoy the show! 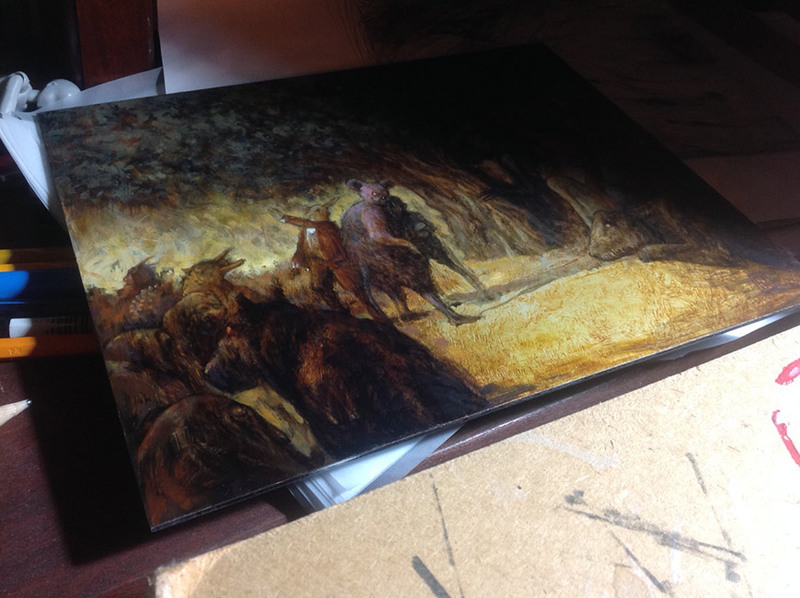 A glimpse of a fascinating work-in-progress by Brad Gray. 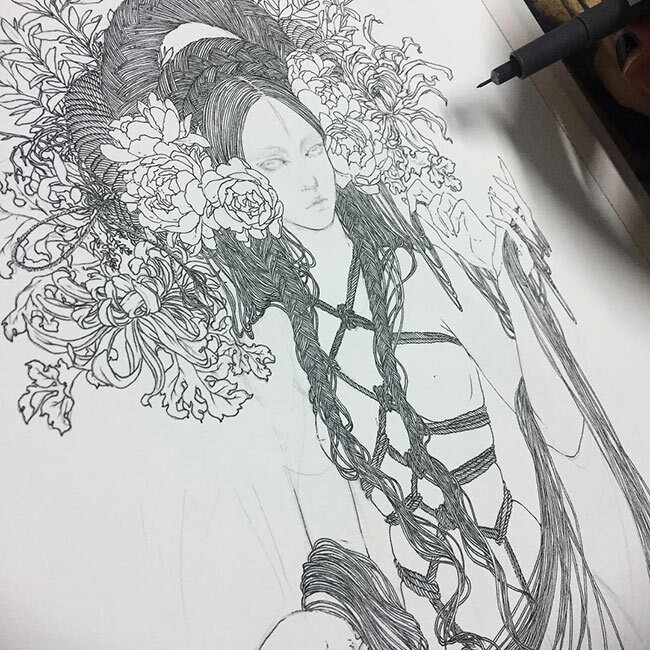 Andi Soto getting into some serious detail work on her wonderful piece, ‘The Ritual III’. 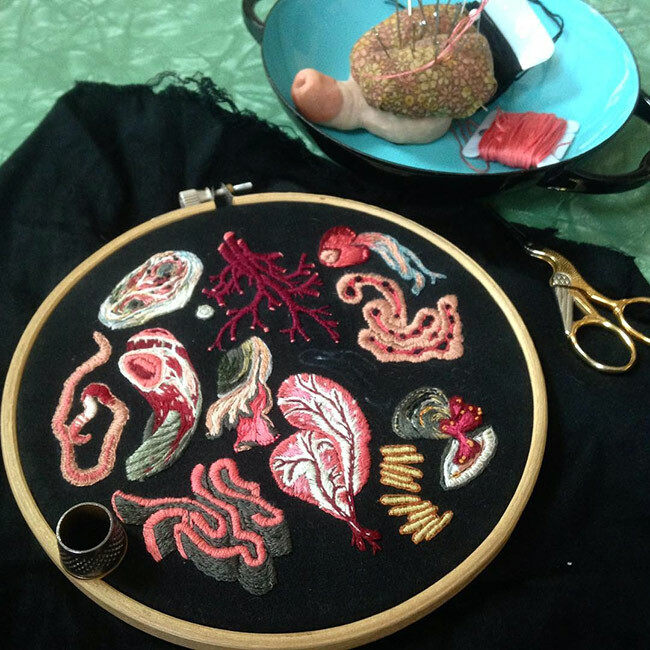 Allison Sommers works on ‘Petrie’, her fabulous cotton embroidery. 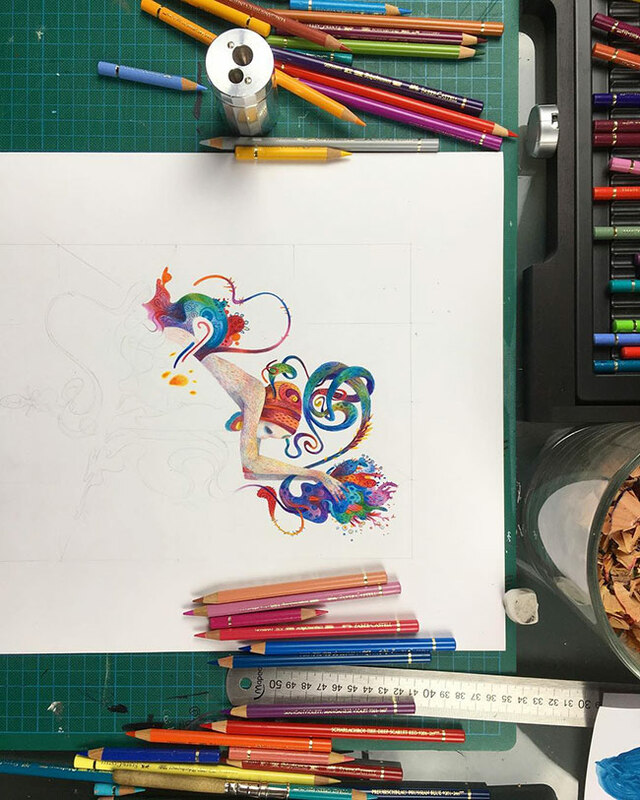 Moon works his magic with coloured pencils. 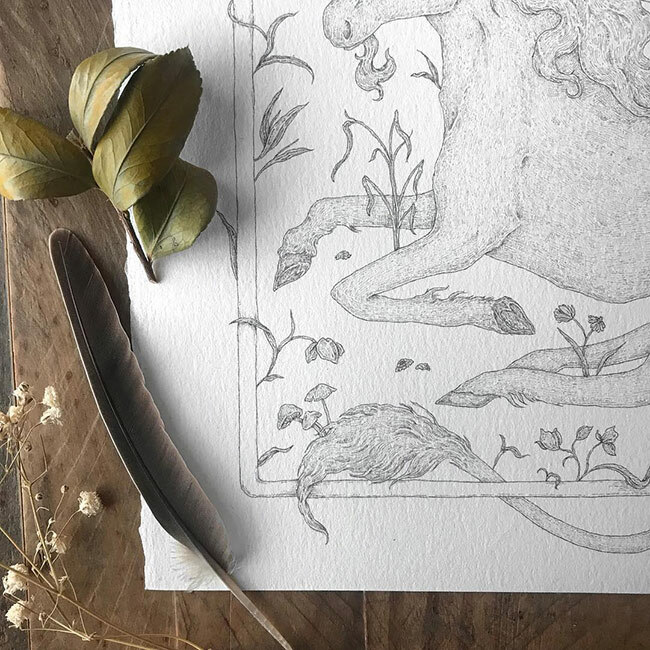 A sneaky peek at Jessica Roux’s magnificent unicorn piece for the show.